Rodrigo Gómez’s practice is focused on tax planning, tax advisory, tax litigation, foreign trade, and the implications of international tax and commercial treaties. He advises clients on domestic and international tax matters, representing major companies in the automotive, pharmaceutical, and health care industries. His practice includes advice on the tax consequences of domestic and cross-border transactions, with particular emphasis on foreign investments in Mexico, including investments made by foreign funds and corporations that incorporate subsidiaries in Mexico. Rodrigo has been involved in several tax litigation cases for foreign and Mexican companies. Some of the cases he has handled constituted case law issued by the Mexican Supreme Court of Justice. Rodrigo has published several articles in tax journals in Mexico and abroad. He is author of two chapters on international tax issues in two different books, both published in Austria. He is a member of the American Chamber of Commerce and has been involved with their fiscal commission. Client service is the foundation goal of every law firm. Over the long term, the quality of client service offered by a firm determines its growth and success. 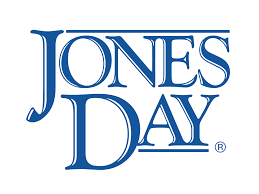 Jones Day has grown from a small firm in Cleveland to a large global institution over more than a century, while many other firms initially better positioned in many ways have struggled or even failed. There must be an explanation for this success other than simply the skill of our lawyers, for we clearly do not have a monopoly on smart lawyers. We believe that the way we have applied our foundation values in Firm management and governance is an important reason for our success in satisfying client needs, and that success – in satisfying client needs – is the entire reason for the Firm’s growth over the years. For almost a century, we have found it most effective to delegate to a single Managing Partner considerable authority to manage the institution. This includes strategic direction and expansion, internal business structure, and partner and associate compensation. The Managing Partner is not selected through elections or any similar process, but rather by his/her predecessor. Our view is that the outgoing Managing Partner is the person best placed to understand the skills and personality characteristics best suited to lead the Firm effectively at that time, and has no reason to allow anything but the future success of the Firm to influence that decision. The fact that Jones Day has had only seven Managing Partners in the last 100 years is strong evidence that this approach has in fact worked the way it was intended – to select the right person for the time. This continuity and stability has been an important element in Jones Day’s success over the years. The Managing Partner serves at the pleasure of the partners, and is required to consult with various groups on a limited number of issues, but as a matter of tradition, good practice and respect for his/her colleagues, he or she will appropriately consult with a range of partners on any important matter. Nevertheless, in the end the Managing Partner is the final decision-maker on virtually every matter of significance for the Firm. This includes partner and associate compensation, annual budgets, conflict resolution, strategic direction and expansion, and internal structure.